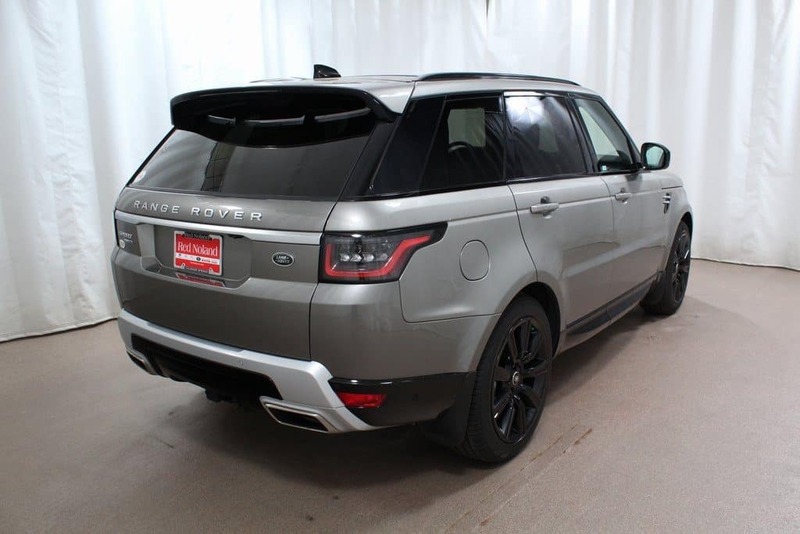 With the arrival of the brand new 2019 Land Rover models, it is worth reminding you that we still have a few brand new 2018 models available in our inventory. We are down to our last luxurious 2018 Range Rover Sport – and it’s currently on discount! With an MSRP of $85,520, you’ll be getting a great deal with our Red Noland pricing of only $79,989. This model was the winner of ALG Residual Value Award for the Premium Utility segment, so you know you are getting an excellent value! Equipped with a 3.0L V6 supercharged engine and paired with an 8-speed automatic transmission, you can expect an estimated 17 MPG city/23 MPG highway fuel economy. This specific model has a unique Silicone Silver exterior color and a rich interior color that is a combination of espresso, ivory, and almond hues. With great features like heated side mirrors, InControl Wi-Fi mobile hotspot, and navigation system, you will know that you’re driving in a top-of-the-line luxury vehicle. Safety hasn’t been overlooked either, with features like the multiple cameras to encompass further sightlines, and the low tire pressure warning. At Land Rover Colorado Springs our financial team is ready to help you into this 2018 Range Rover Sport! If you are concerned about your credit, we can work with you on finding the most competitive rates available. We will do what we can go help you drive home in a Land Rover of your own. Contact our helpful sales staff at Land Rover Colorado Springs for information on this luxury SUV and the rest of our performance SUV lineup.